Today I started fitting the dividers for the cubbies and putting the tools in place to make sure the fit is correct. 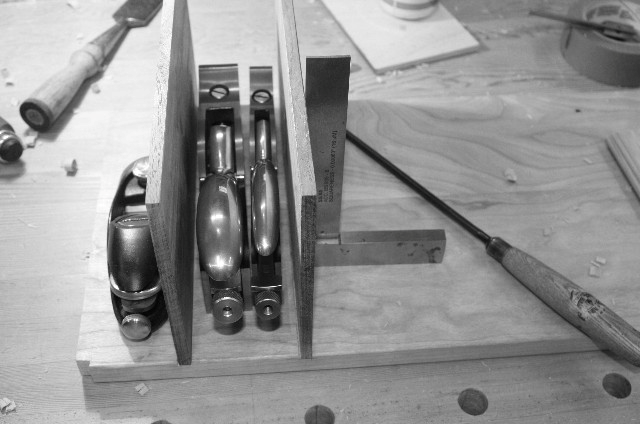 Marilyn, you will see this in the next video on this same topic but I also added a horizontal divider in the center since my block planes are so short. That way I can stack them on top of one another and use up the dead space. Food for thought.